Putting together a stellar outfit takes effort, and for some of us dressing well is a daily struggle. Who wouldn’t love to have a personal stylist on hand picking out the best items of the season to keep you looking on point? Well, the good news is now you don’t have to be getting paid like Channing Tatum to have an expert advise you on your clothing choices. 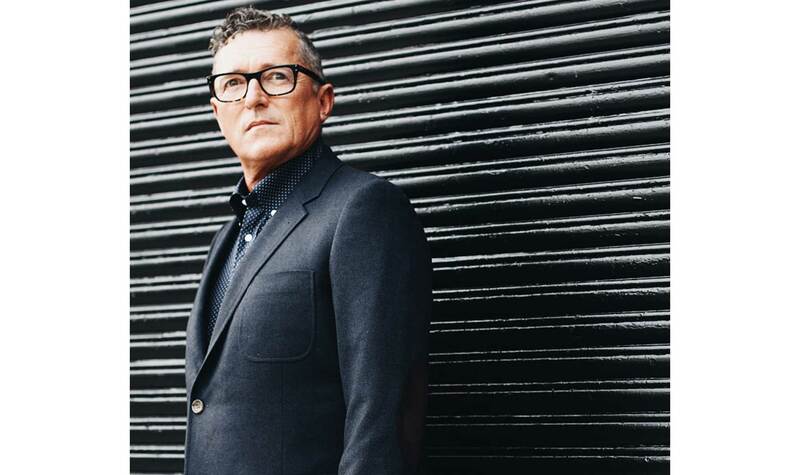 Meet Tom Kearnan, our Director of Fashion and a veteran with almost four decades of experience in the menswear industry. 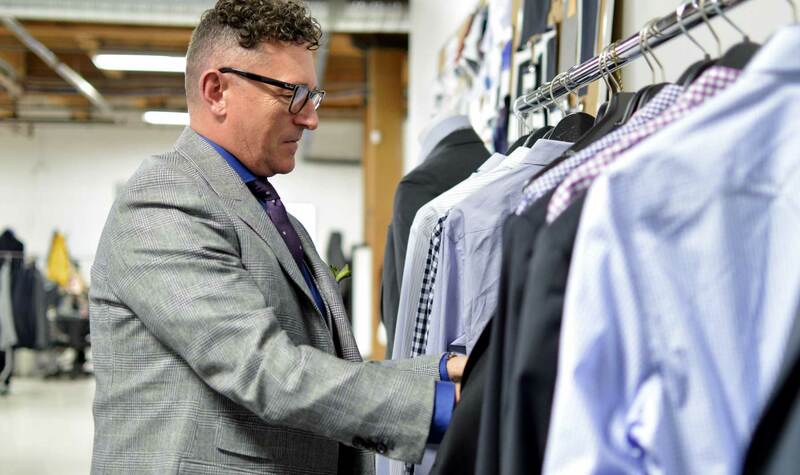 Since he joined Indochino, we’ve been hitting Tom up for style advice—which shirt goes with this suit? What color pocket square with this tie? We realized this fall that it’s time we shared his styling insights with the world, which is how the Tom’s Picks Collection was born. 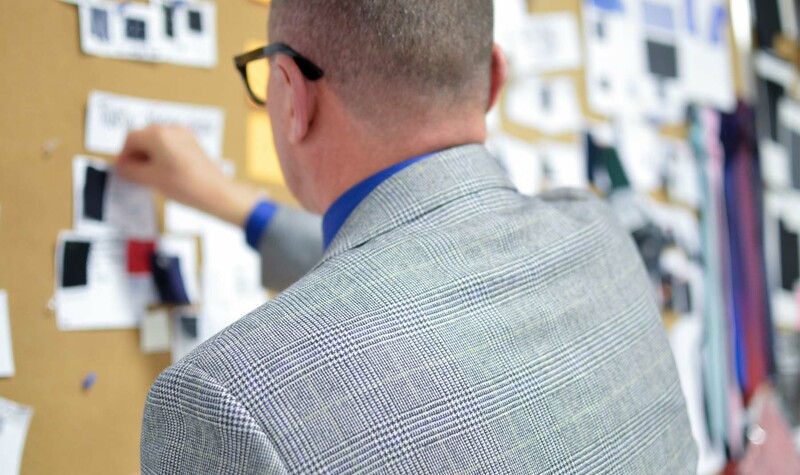 Each season Tom selects his favorite suits and shirts—the hot colors, the cool patterns, everything a guy needs to suit up in style with the confidence of a pro. 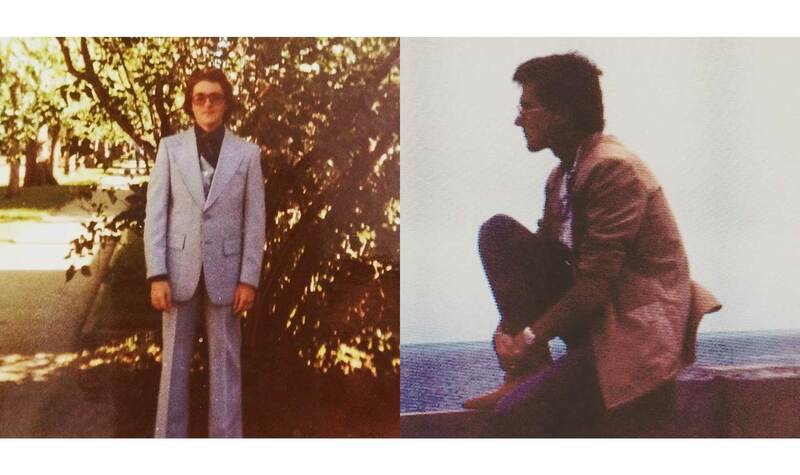 We talked with Tom recently about his life in the fashion industry, what true style means, and just how tight the pants were in the 70s. Yes, after taking some time off after school for travel I fell into fashion. That was 1979—and I have never left the industry. I’ve always been in menswear. I started out working retail in young men’s fashion. It was an exciting time. Men’s fashion was exploding in North America. New trends, new brands arriving—sort of a European invasion. Denim was coming on strong and a new decade, the 80s, was about to dawn. It was so much fun. I worked with a great team of people and they helped me fall in love with fashion. Things were so different “back in the day.” People had money to spend and the designers had things for them to buy. It was hard work however, some doors also opened which allowed me to begin traveling internationally in the mid 80s, buying some of the top names and bringing them to life at retail. Behind the scenes at an Indochino shoot. What does having style mean to you? For me style is an individual thing. 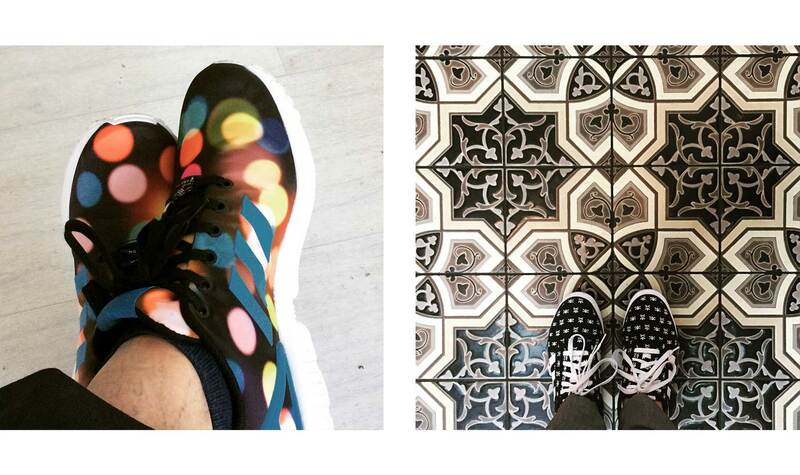 It’s how someone pulls their look together and wears it like they own it, with their own unique flavour or twist. It’s the natural comfort that a person has in how they wear their clothes. It can be very simple or outright shocking—it’s how an individual carries it off that elevates it to the level of style. I love classic looks, but always with a twist of surprise. I have never been afraid of colour and use colours to lift my looks and make them unique. I am also a bit of a sneaker head so anything I can do to pull off a formal look with a pair of unique trainers is right up my alley. I am as comfortable in my tux as I am in a pair of jeans and a tee. As long as I feel comfortable, I can wear anything—I’ve been known to pull off some amazing looks in my time. Pushing boundaries in menswear has never been a problem. I follow the trend in my own way, jumping on some trends early and never even bothering with others. What is your favourite era for men’s fashion? I have a few! I adore the Roaring Twenties. There was a uniqueness to the Jazz Era. Men weren’t afraid to look great, and there was less stiffness to how they wore things—the suits, the shoes, the music, the cocktails. Also the post-war 40s and its relaxed formal wear—there was this simple elegance that men had during that time. Think about the movie stars of the era, on screen or off they were always impeccable. A new mix of sportswear elements had entered mens tailored looks, the clothing flowed, there was a lightness to how suits looked. Tom back in the day. And then there were the 70s. It was wild. I love looking back at the old photos—everyone in super high-waisted pants, tighter than tight polyester printed shirts with huge cuffs and long collars, platform shoes, crazy patterns. And let’s not forget the big hair! I had an older brother, and he had amazing style—cutting open his jeans and sewing in the Union Jack to make them super wide-legged, the tightest tee shirts, huge mustache and the highest platforms possible. The music brought the clothes alive—Elton John, David Bowie, The Stones, Beatles … the list just goes on and on. What can you absolutely not live without (clothing or otherwise)? A good book and my music! Cashmere, pima cotton, worn-in raw denim, sneakers and a tweed sport jacket. What qualifies a piece of clothing for the Tom’s Picks collection? I try to always select items that can be worn by most men. Again, if you go through my fall selections, they are all classic looks with a twist; either through colour selection (Burgundy Flannel), texture (Pin Dot Velvet) or versatility (Olive Cord). Dressing should be easy. I hope my collection helps guys make choices that make them look good and feel comfortable. What themes are dominating men’s fashion this fall and winter? Colour is making a big comeback—burgundy, deep greens, marine blue and grey of any shade. And patterns like checks, plaids and houndstooth as well. Dressing with separates is gaining in popularity, too. The ability to buy jackets and pants in different fabrics and mix and match gives you a flexible wardrobe that can take you from business to the baseball game. Easy pieces that work together and make you feel like a million bucks. How can the average guy on the street incorporate these styles without feeling like a fashionista? That’s easy—keep the lines clean and simple and stay within your comfort zone. 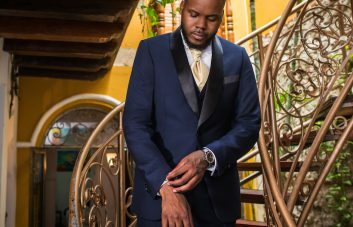 If you want to wear burgundy but you feel somewhat overwhelmed by an entire suit, choose to go with an accent piece like a shirt, tie or pant. Mix in the new with the old. Take a safe base, like a charcoal suit, and mix in new pieces to keep the look current. Check out Tom’s Picks today.